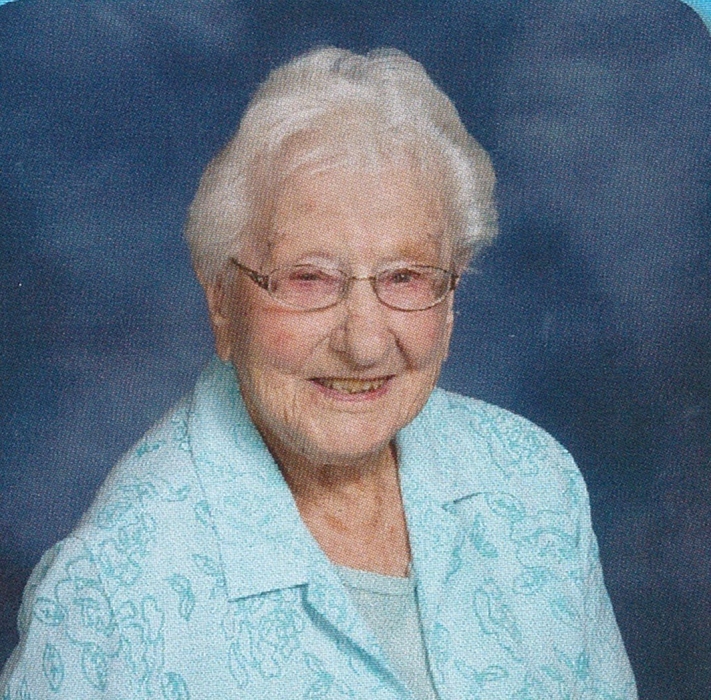 Berdene Carlile, 104, of Elkhart, passed away peacefully Saturday Sep. 1, 2018 at home. She was born July 20, 1914 in Goshen to Guy and Gertrude (Longcor) McDowell. On Feb. 20, 1942 in Galveston, TX, she married Eugene Carlile who preceded her in death Sep. 17, 2004 after 66 years of marriage. Surviving is her son Gary (Janet) Carlile of Dowagiac, MI and a grandson Jacob Carlile. She was preceded in death by 2 brothers, Paul and LaMar McDowell. Berdene worked at Elkhart General Hospital for 19 years in housekeeping and for 11 years at Miles Laboratories in production. She was a member of Faith United Methodist Church, Esther Circle and EGH Auxiliary. She was an avid sports fanatic especially for the Chicago Cubs. Visitation will be from 10am to 12pm Tuesday Sep. 4th at Stemm-Lawson-Peterson Funeral Home where services will be at 12pm with Pastor John Hogsett officiating. Burial will follow at Rice Cemetery. In lieu of flowers, memorials may be given to Faith United Methodist Church.